TFSS follows the 10 Principles in Practice to guide the way that we work. The principles were developed in 2005 to sit beside the Generic Standards produced by the NSW Department of Family and Community Services. These Generic Standards were developed in consultation with representatives of non-Government Peak organisations and pilots involved non-Government services. They provide a core set of standards that can be applied to a range of human service organisations that receive funding from the NSW Department of Family and Community Services. They are intended to support continuous quality improvement across the non-Government sector. For more infomation on the Princliples, visit the FaMS website. 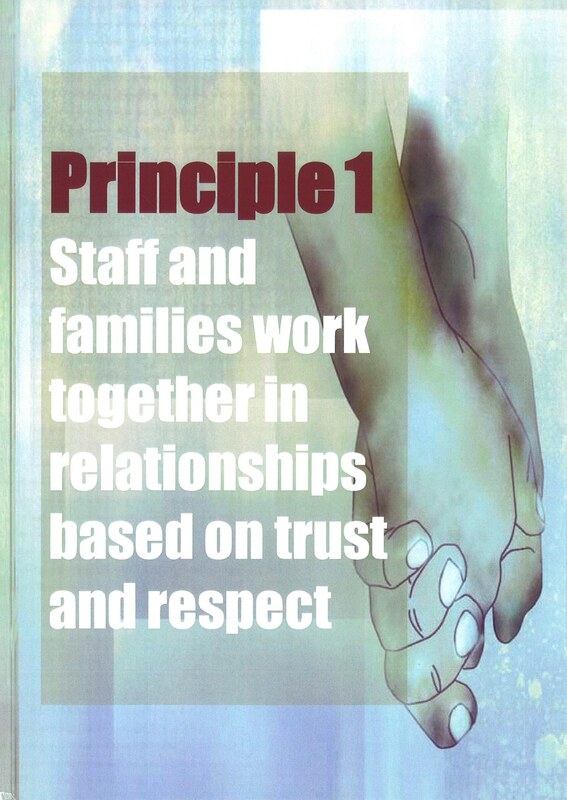 Principle 1 - Staff and families work together in relationships based on trust and respect. Relationship building is a dynamic and ongoing process that begins with the family's first encounter with the project and with a staff member's first day on the job. Building and maintaining relationships based on equality and respect takes time and effort. It is a process of continually seeking to understand assumptions and to share meanings and expectations. It requires a mutual recognition on the role each partner plays and a recognition that these roles change over time. 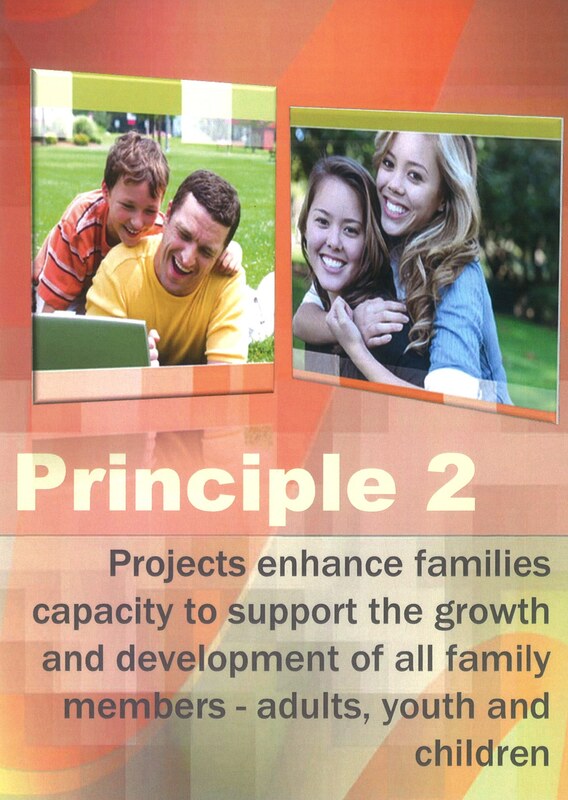 Principle 2 - Projects enhance families capacity to support the growth and development of all family members - adults, youth and children. The role of projects is to help families identify, enhance and utilise their existing skills, knowledge and resources in the ongoing task of promoting a healthy environment for their family members. 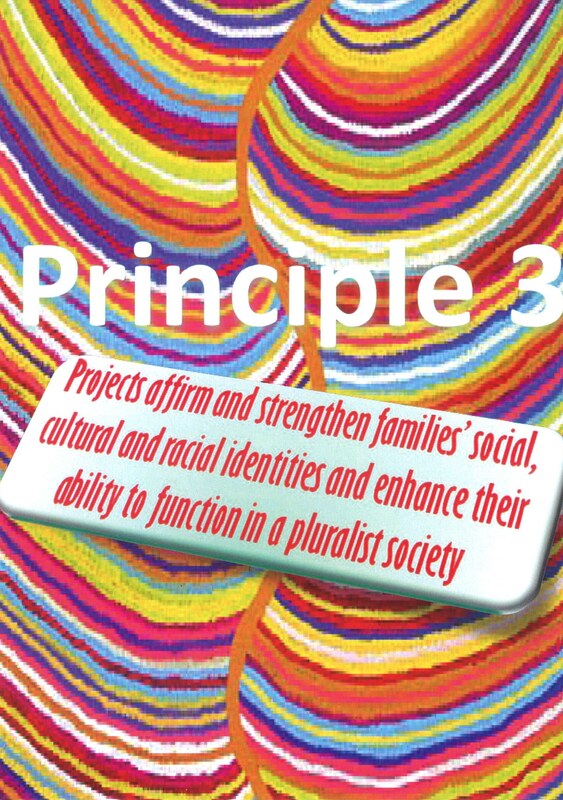 Principle 3 - Projects affirm and strengthen families' social, cultural and racial identities and enhance their ability to function in a pluralist society. Family Services work in many different ways to assist families to prepare their children to grow up in a society that is increasingly diverse. Australian society also carries the legacy from past and present policies and attitudes that discriminate against certain groups, in particular although not only, Aborigines and Torres Strait Islanders. Such discrimination has had a destructive effect on family and community well being. Family Services have an important role in countering the effects of discrimination and oppression and so building stronger family and community bonds. 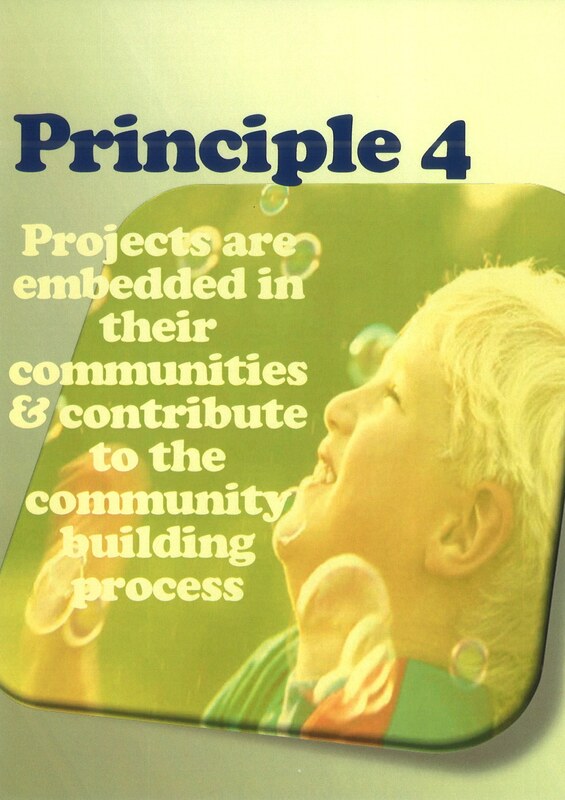 Principle 4 - Projects are embedded in their communities and contribute to the community building process. Family Services reflect a broad outlook that sees community building as an important key to supporting family life. Projects can serve not only as places where family members meet their own needs but as places where families can support each other for the good of the whole community. This means that projects can assist in the creation of the 'social capital' necessary for family well being, as spelt out in the premises underlying the principles. 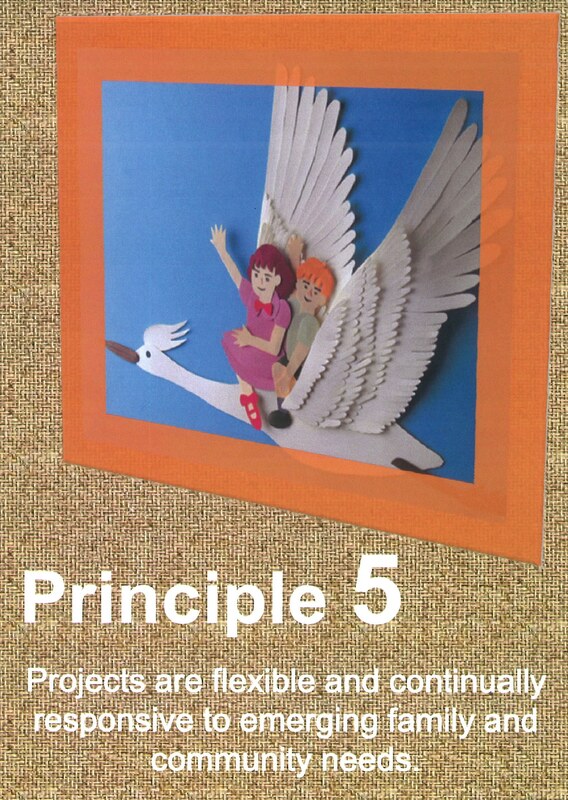 Principle 5 - Projects are flexible and continually responsive to emerging family and community needs. One of the reasons for the effectiveness of family services is their capacity to start where families are and to respond to their needs rather than offering an inflexible set of services. They must be open to implement what they learnt through their contact with families into their activities and project design. Family Services are also in a strategic position to advise the wider community about family needs. 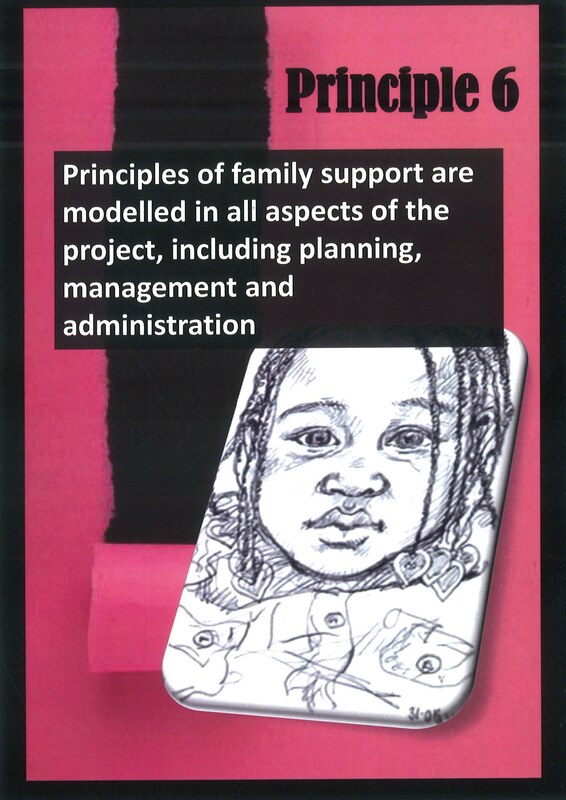 Principle 6 - Principles of family support are modelled in all aspects of the project including planning, management and administration. It is essential that there is congruence between the principles that govern practice and those governing all other aspects of the project's operation. Where the principles are expressed through all aspects of the program the stage is set for consistent learning for both staff and families as they pursue outcomes which promote family well being. 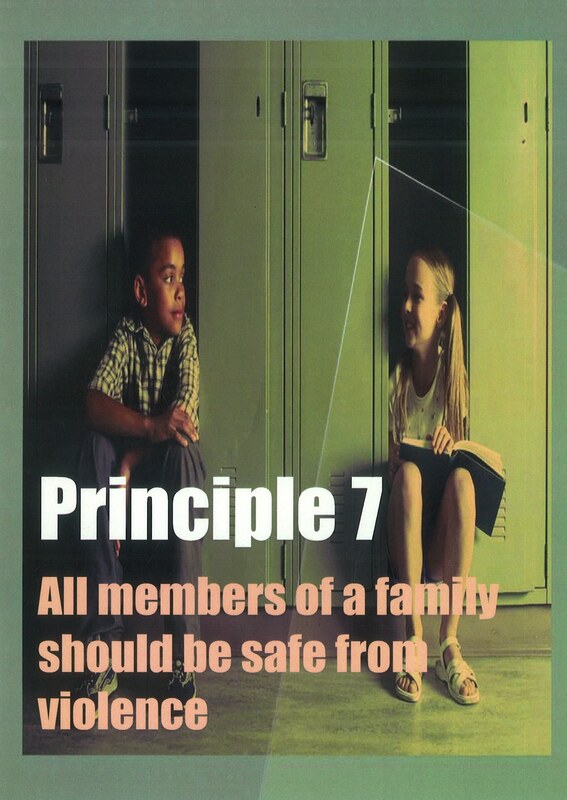 Principle 7 - All members of a family should be safe from violence. Safety is a vital prerequisite for positive family functioning and for the healthy development of children. Violence impairs the development of respectful and trusting relationships, and undermines the capacity of family members to meet personal needs and to promote positive change. 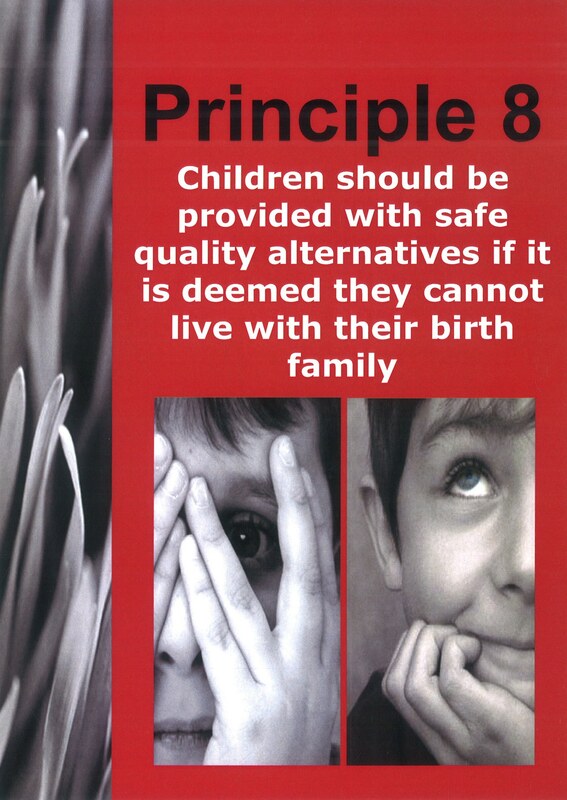 Principle 8 - Children should be provided with safe quality alternatives if it is deemed that they cannot live with their birth family. Being raised within their birth family provides children with a continuity of relationships, a sense of identity and links with other family members. Any child who cannot be raised within their family experiences a very significant loss. The decision that a child can never live with their birth family has consequences for their lifetime and should only be made after the most careful, albeit timely, consideration. Children who cannot be raised within their birth family are owed special attention to ensure the provision of high quality alternative care. 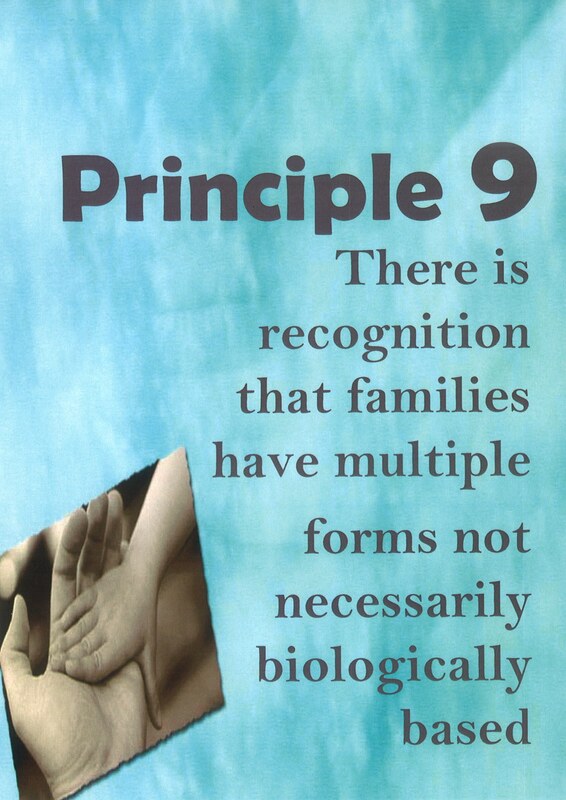 Principle 9 - There is recognition that families have multiple forms not necessarily biologically based. Projects recognise that people make meaningful relationships beyond limited biological ties and that many different combinations of people can provide the safe, secure and committed web of relationships children need to grow and develop. Projects allow families to define what family means in their context, and avoid placing barriers that could limit the effectiveness of outcomes for family members. 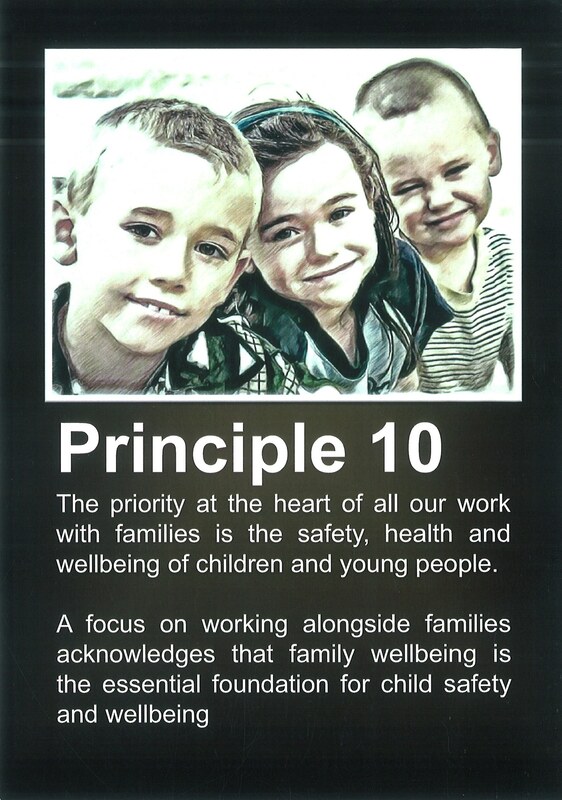 Principle 10 - The priority at the heart of all our work with families is the safety, health and wellbeing of children and young people. A focus on working alongside families acknowledges that family well-being is the essential foundation for child safety and wellbeing.